Meek Mill has been sentenced by a Philadelphia judge to two to four years in state prison for violating probation in a nearly decade old gun and drug case. People are in an uproar from the announcement of the unseemingly unfair and unjust sentence. Judge Brinkley cited a failed drug test and a failure to comply with a court order restricting his travel. Mill was originally arrested in 2008 and convicted of drug dealing and gun possession. He spent eight months in prison. Many celebrities have spoken out against the sentence. 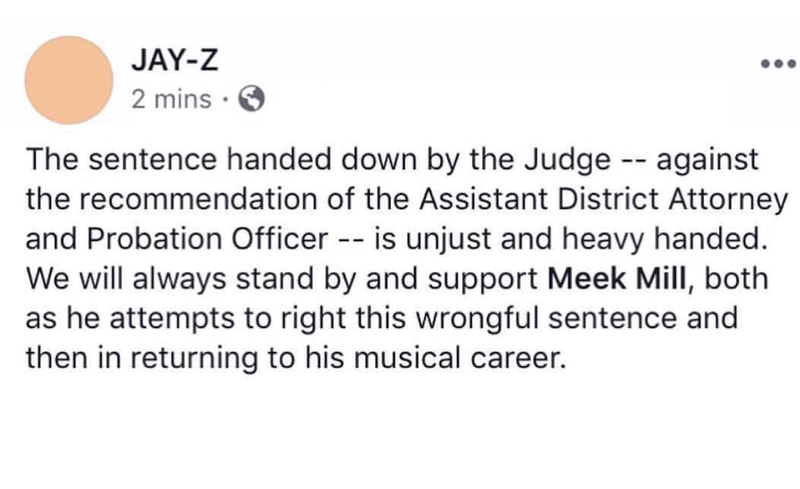 Jay Z who rarely speaks out made it his business to post something in support of Meek. 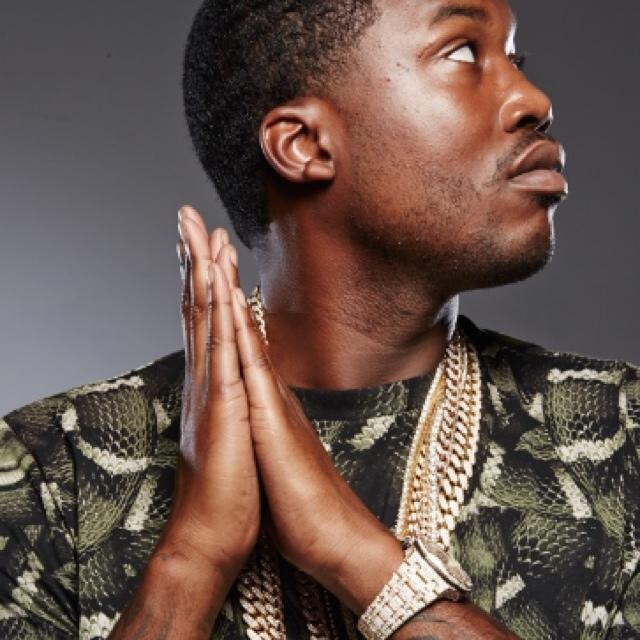 He posted: We pray for Meek and his family during this difficult time and hope that justice will prevail. It is clear that this particular judge is trying to make an example out of the situation. However, you have other rats who get off for hanice crimes and don’t even get charged for anything i.e. cops killing black men/women/children…. This entry was posted in Entertainment, Justice. Bookmark the permalink.